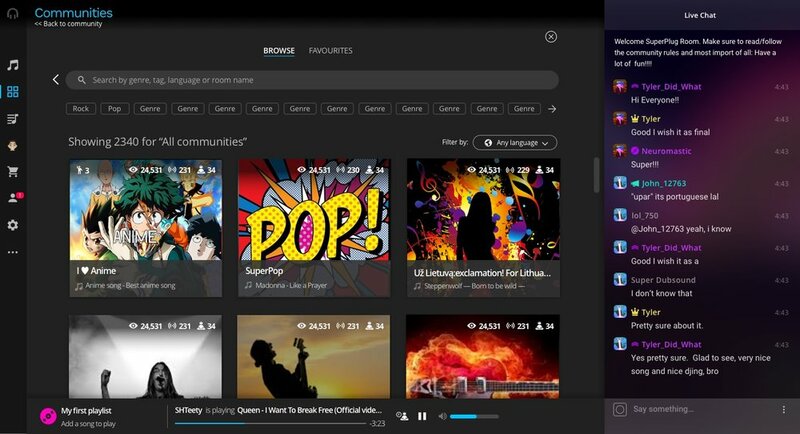 An online social music streaming website with +3 milion users. Plug.dj, an interactive music streaming platform, had the objective to go one step beyond in its position and improve facing its users. 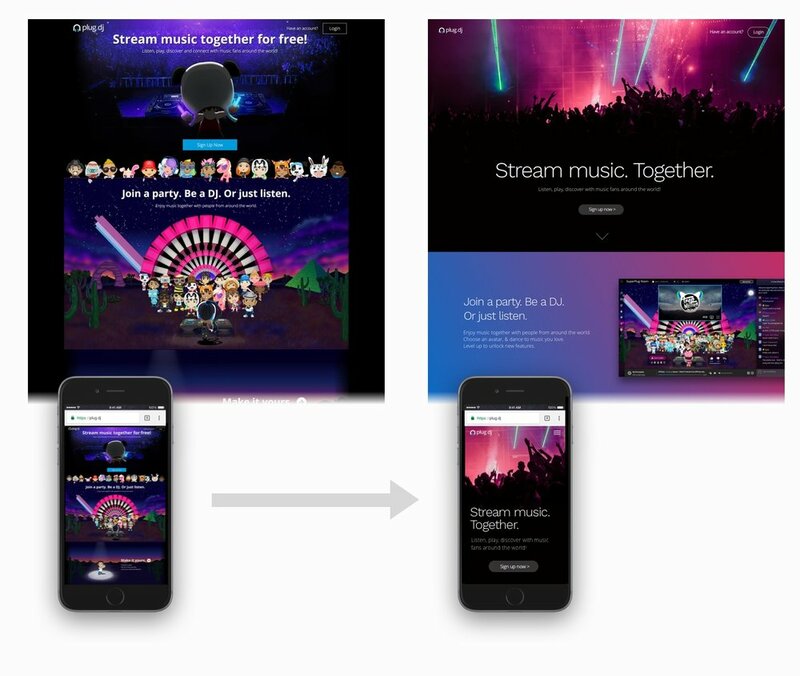 To achieve that, it was necessary create a more ease-to-use, more complete, more appealing platform but keeping the soul and spirit of the Plug.dj, both in the way of using the platform and the current visual design. The previous work comprises the Company Analysis (including among others the definition of the objectives, or the customer journey), the Opportunity Mapping (with the metric status, the UX analysis, or the user voice) and the New Strategy (i.e. the value proposition or the opportunities priorization). After that the new flows, news storyboard, new ux and the new designs were ready to the development, and eventually Plug.dj is rebuilt focused in the main objectives previously commented. Old and New (1): In this example we can see how on the old version (up) two differents bar contains differents elements, with elements not related between. New redesign (down) allows to have elements by nature and also in one unique bar. Another topics: the fullscreen view, now more adapted to this kind of functionality, or the navigation via left menu allows user to have a quickly and easy way to make the desired action, because this menu works not as a web map but a real and useful navigation tool.